If I were to wear just one coat forever, this might be it. Seriously, this wool coat by Kersh is simply the coolest! Not only do I love the combination of gray, blue, and pinks, I am really fascinated with the feather-like texture. I have never seen anything like it! To go with this statement piece, I keep the rest of the outfit rather simple in a white and gray scheme... a lovely white blouse with sheer panel by Ro&De, a gray scuba skirt from Wet Seal, and a gray double pocket mini satchel from F21. 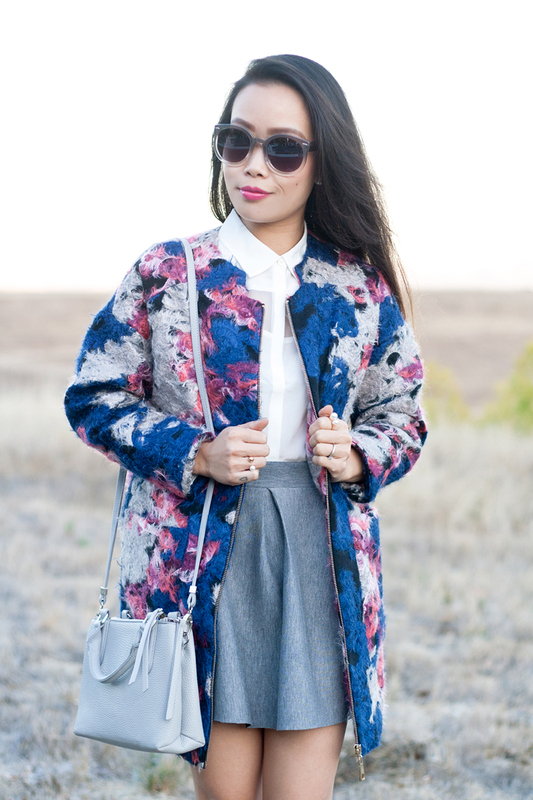 Do you have a statement coat you love? 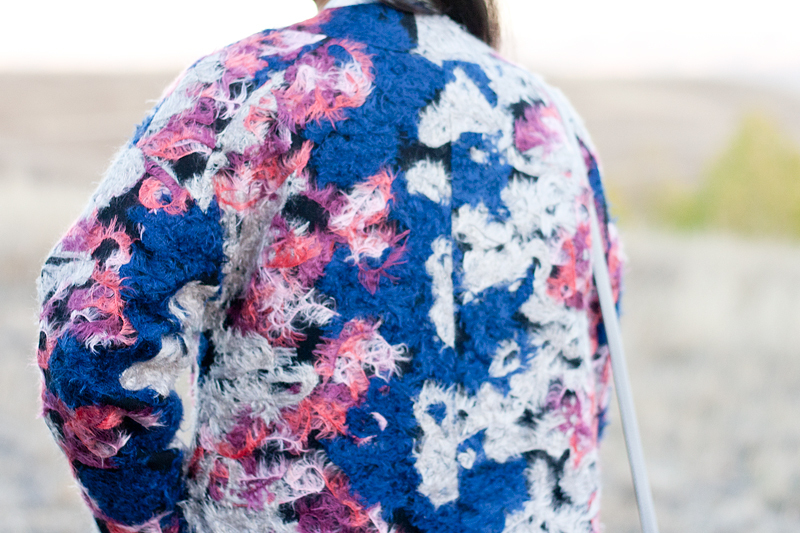 Mixed pink and navy abstract wool coat c/o Kersh. 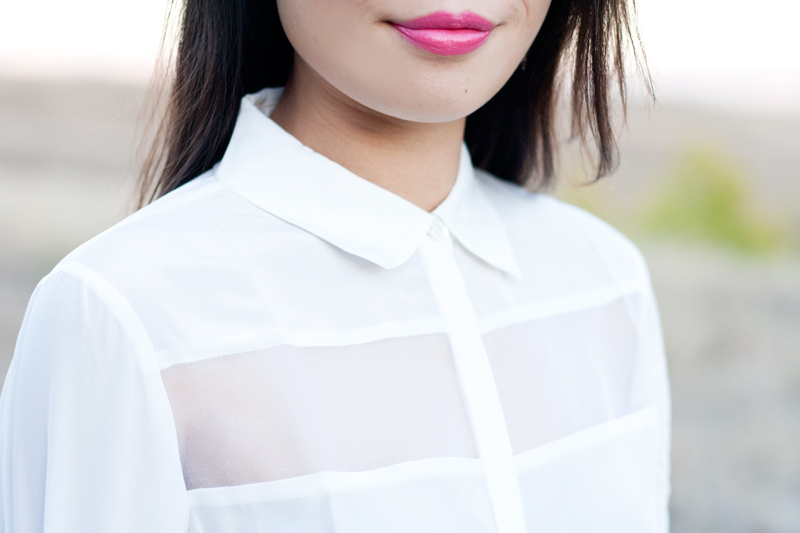 White blouse with sheer panel c/o Ro&De (exclusive style not available at Nordstrom but soon available online). Gray scuba skirt c/o Wet Seal. 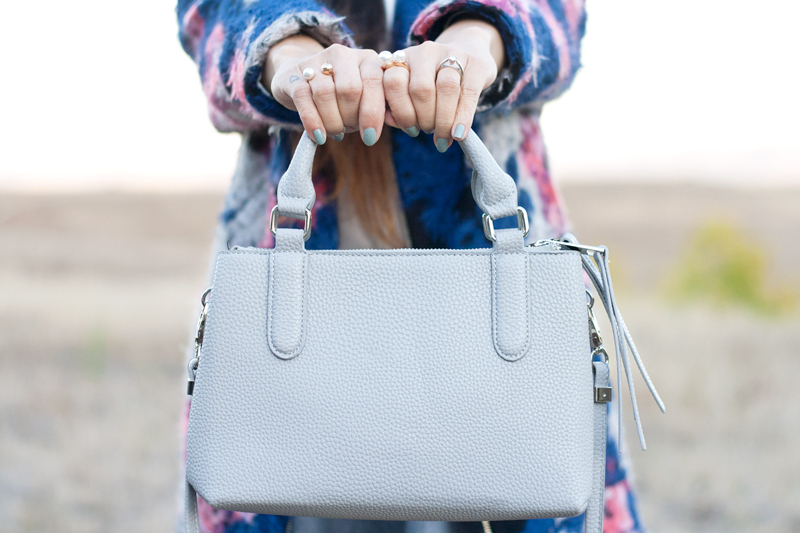 Gray double pocket mini satchel c/o F21. Linn leather heels with braided ankle strap c/o Sole Society.